Making and playing simple instruments from around the world can be a great way to spend time with your young child. It offers a chance to get creative, explore art, celebrate diversity and make music all at the same time. 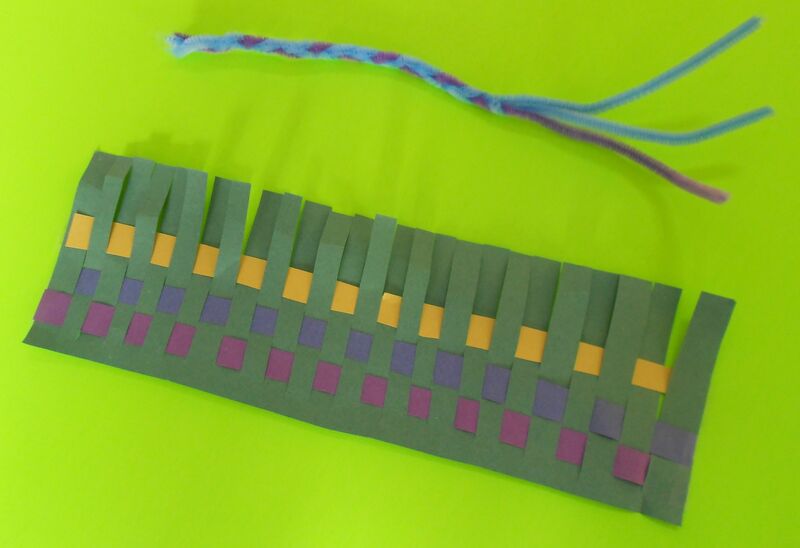 Here’s a perfect example of a fun instrument that you can make to explore world cultures and add to your music basket – a woven caxixi rattle. 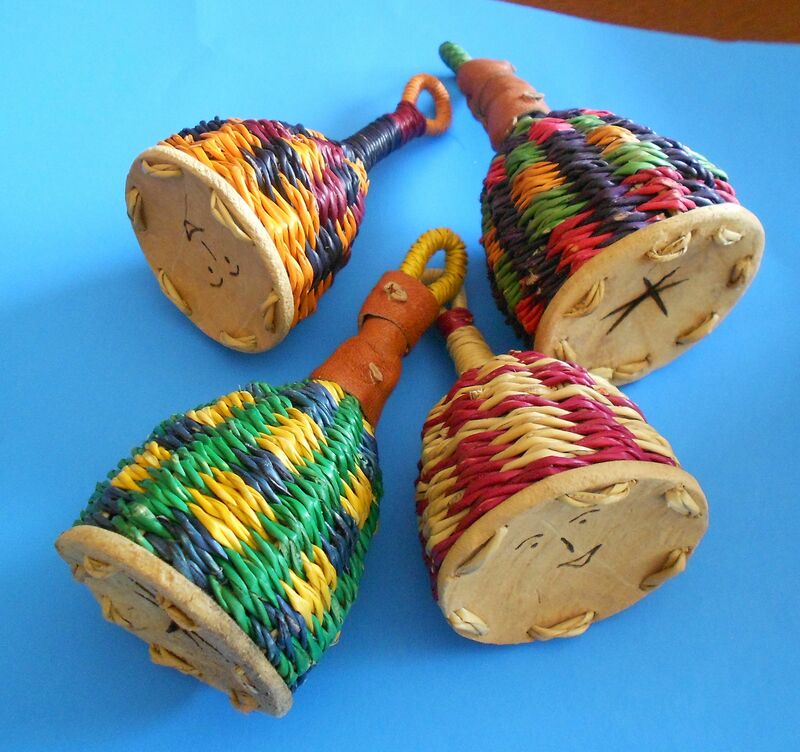 Caxixi (pronounced ka-shee-shee) rattles are beautifully woven, small, hand percussion instruments that can be found in Africa as well as in South America. The rattle has a flat bottom piece that can be made from a gourd or from plastic or metal. The rest of the rattle is the woven “basket” that holds the small items that create the sound. The basket part can be woven with beautiful patterns of colored fiber and some caxixi’s consist of two baskets attached to one handle. Although this instrument may look quite simple, the caxixi can make a wide variety of sounds. You can shake the contents against the softer side of the woven rattle for one sound or against the harder bottom part for another tone. How are caxixi rattles played in traditional cultures? In West Africa, they are often played by the singers who are accompanied by drummers. In this setting, the rattle is believed to bring call good spirits and drive away bad ones. In Brazil, the caxixi is often seen creating the percussion sound for a really unique instrument called a birembau. 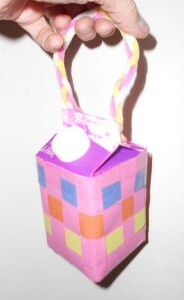 Clean and dry a used milk carton or a round plastic bottle. Cut a rectangle of recycled paper to fit over the main area of the container – the square part of the milk carton or the lower part of the plastic bottle. Cut “weaving strips” that are exactly as long as the wide side of the rectangle. Make them as wide as you like. Larger strips are easier for smaller hands to weave. Cut the main rectangle vertically, leaving the space of about one weaving strip in the bottom. 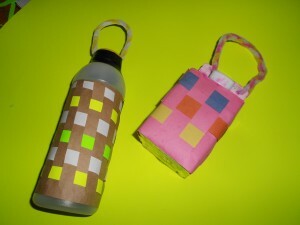 Weave the rectangle with any color combination you like and then fit it onto your container and tape it into place. Next, braid or twist several pipecleaners together to form the handle. Before you assemble the final rattle, add the materials that will create the sound. Add any small fillings to the rattle and see if you like what you hear. Smaller, lighter items make softer sounds. Larger, harder objects like dried beans and buttons make a louder and harsher sound. When you find the perfect mix, put on the lid. For the milk carton caxixi – poke two small holes in the carton on the top and thread pipeclearners through them for a handle. For the plastic bottle caxixi – seal the bottle with sturdy tape and wind extra tape around the handle to hold it in place. Play along with your favorite music and have fun!